Andrew Clark from Lincolnshire was remarkably calm during a call to Camelot, having discovered the ticket in his van six weeks after the winning draw. A remarkable recording captures the moment a builder from Lincolnshire calmly claimed the £76 million EuroMillions jackpot. Andrew Clark, 51, from Boston can be heard telling a call handler “I think I’ve won a few quid” before being asked for his ticket number. “Yeah,” responds Mr Clark calmly, before saying: “What it was, my niece kept saying about looking at my ticket because I only check them about every three months. “Last night I checked them,” he laughs. “Wow,” responds the call handler. Speaking to the media after claiming his prize – the 12th biggest ever in the UK – Mr Clark said he was taking early retirement. Referring to himself as “the man who nearly lost £76 million”, he said he realised he was the mystery winner after he “finally gave in” and began working his way through his stash of tickets one evening. He and his partner, Trisha Fairhurst, 51, have already bought a new home and two cars but say “the best thing about the win is how we can help all our family”. The grandfather-of-three said: “It almost feels like some magical Christmas story, the man who nearly lost £76 million. “For all our family, I’m very pleased that Trisha and Louise nagged me to check those tickets. “This Christmas is going to be a quiet affair but next year will be a different story. “Trisha and I have this vision of hiring a big lodge or hotel so that the whole family can get together and swap stories about how they’ve spent their share over the past 12 months. Mr Clark and Ms Fairhurst, who have been together for four years, said they had already bought their Christmas presents and did not intend to upgrade this year’s festive plans. But he admitted he had already increased the amount he had put in his granddaughters’ Christmas cards, leaving one six-year-old dancing for joy. “Normally I put £30 or £40 in a card for the grandkids on their birthdays and that,” he said. Ms Fairhurst said the press conference was taking place when they were supposed to be doing their Christmas food shopping. Mr Clark said the winning ticket was in a wad of tickets stuffed behind the visor in his van. 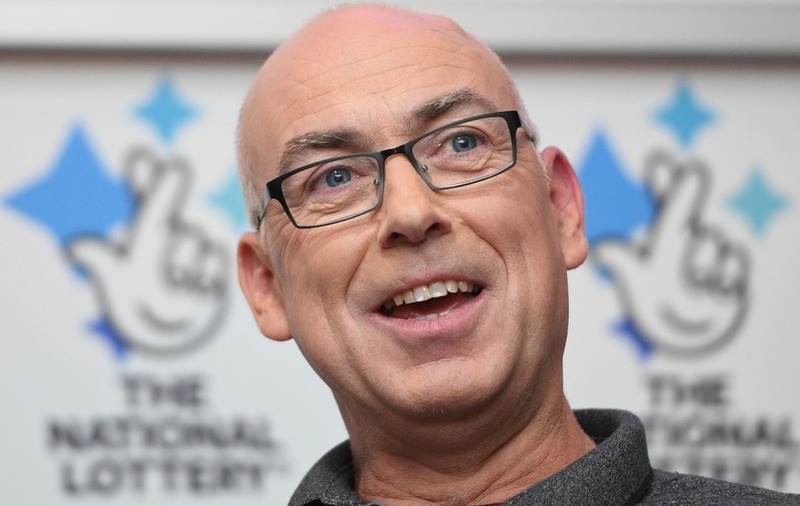 Mr Clark, who has known he was the jackpot winner for a week, said he has already bought one car – a Nissan Qashqai – for Ms Fairhurst and put a deposit down on a high-spec vehicle, an £80,000 Mercedes, which is due for delivery on Saturday. He said the Nissan dealer even said to them: “Are you those £76 million winners?” But they decided to stay quiet. Mr Clark said he has also put a deposit down on a new four-bed house. Mr Clark said he has already given up working for other people – including walking away from the extension for Ms Fairhurst’s niece. He said he has never like working in the winter and is now looking forward to planning holidays to destinations like Mauritius, the Maldives and Hawaii. Ms Fairhurst said she has no immediate plans to give up her job as a catering assistant at Boston Pilgrim Hospital. She said the win will make a huge difference to her 14-year-old daughter who has special needs and will need help to live independently when she is older. “This will set her up for life,” she said. Mr Clark has two sons in their 30s and three granddaughters, aged two, six and nine. “They will all be looked after – well looked after,” he said. He said he will continue to play the lottery – and still plans to only check his tickets every three months.